*Price valid for returning maintenance agreement holders. Instant Recognition. As a member of our Service Partner Plan you will be flying “first class” whenever you need air conditioning, heating or plumbing sales, service or repair. Convenience of having your air conditioning/heating and plumbing maintenance taken care, preserving manufacturer’s warranties on major component failures. Peace of Mind. Knowing that your air conditioning, heating and plumbing systems are operating safely and efficiently – no loose electrical wires or water leaks. Priority Service. We put you in the front of the line for service in the unlikely event that you experience the need for any type of urgent service. 15% Discount. Service Partner Plan customers are given a 15% discount off of everything we service including: cooling, heating, plumbing, sewer, air quality and air duct cleaning. Elective System Checks. As a Service Partner you are able to request a complete home plumbing or indoor air quality check up and receive any appointment time you would like, and as often as you like. Increase Equipment Life Span. Our routine maintenance extends your air conditioning, heating and plumbing equipment’s life span up to 25% and that’s worth at least $125 dollars a year. Transferrable. You have the option of transferring your plan to your new home if you move to a home in our service area. Or you can even transfer the coverage to the new owners of your home, should you move out of our coverage area. Indoor Air Quality Maintenance. As part of the annual maintenance, we will look at your indoor air quality equipment,change filters, and perform any duty to ensure your indoor air quality. Prevention of breakdowns. Routine maintenance prevents most system failures. Air conditioning, heating & plumbing system failures are not only inconvenient but costly! Two visits for plumbing and/or two visits for AC maintenance (as long as you purchase one or both agreements). We will come perform our complete service and efficiency maximization protocol on your air conditioning/heating system once each season and perform an annual plumbing inspection. 10% Discounts. Service Partner Plan customers are given a 10% discount off of a variety of other products including: replacement water heaters, sewer/water line replacements and indoor air quality accessories. Inflation Hedge. Your planned maintenance costs will be fixed as long as you maintain your Service Partner Plan agreement. And you’ll have the costs budgeted for automatically. You don’t need to worry – we’ll take care of it! The cost for a new annual HEATING AND COOLING maintenance agreement is $219 for one system – if you have multiple systems each additional system is $169. To renew an existing heating and cooling maintenance agreement, the cost is $199 for one system. The cost of a PLUMBING maintenance agreement is $129. To renew a plumbing maintenance agreement is $99. Combining heating and cooling with plumbing saves up to $50! 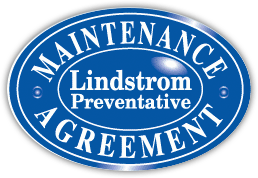 To find out more about our maintenance agreement, contact us today.